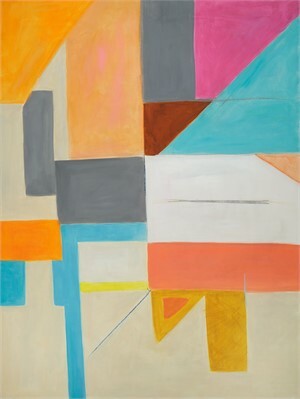 A Washington D.C native, Deborah Brisker Burk is an award-winning artist who has been creating art since childhood. 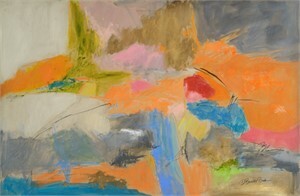 Burk earned her undergraduate and graduate degrees in art from George Washington University. She studied at L’academie de Port Royale in Paris, with Alex Powers and Skip Lawrence in the US. 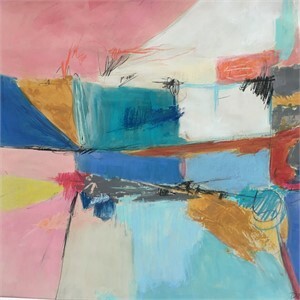 She has worked in a range of media including sculpture, printmaking, painting, and drawing. 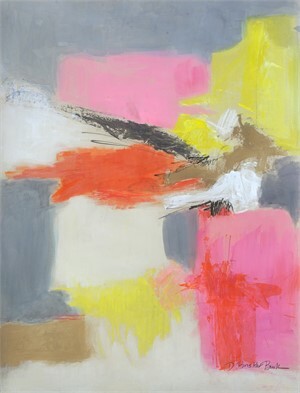 Her current paintings are mixed media on canvas and paper. “I feel energized from creating art, the process gets my blood flowing, my heart pumped and my mind engaged. 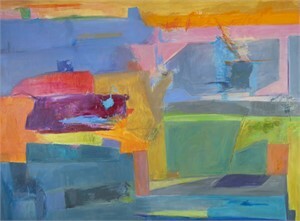 Jumping in the river of life, in the now, is how I experience the act of painting, collaging and drawing. Paradoxically, although my art is personal, my own natural vision, simultaneously, I become connected to all creators, past and present when my hand, mind, and vision are working in unison. 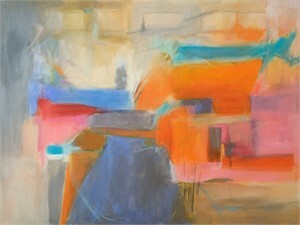 My process begins with an idea or reaction to a feeling, culled from experiences, or a response to a visual in my mind. Throughout the process, I check to see if the work is reflecting my selected intention. Often, I work on several bodies of work concurrently. Various bodies of work influence and inform each other; often they cross-pollinate. My series on paper is mixed media work which captures the human figure and its movement, focusing on the importance of color, and line. My “Stream of Consciousness” series on canvas catalogs the figure on the edge of abstraction, emerging from my thoughts, dreams and the images distilled from my work on paper. The work is made up of mixed media paint, Caran d’Ache, oil pastel, charcoal, pure pigment and sometimes includes collage. Ms. Burk’s work has been featured in numerous galleries, collections, and exhibitions in the U.S., Israel, Canada, Russia, Egypt, and India. 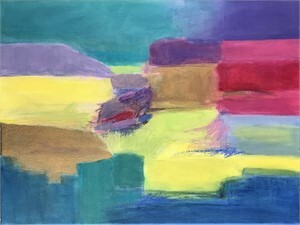 Exhibits include solo shows at The Marin Price Galleries, Parish Gallery, The Charles Sumner Museum, Philip Morton Gallery, Har Shalom Gallery and The Framer’s Choice. Currently, Ms. Burk work may be seen at Philip Morton Gallery, Rehoboth, Delaware and Blank Slate Gallery in Sarasota, Fl., Gallery 50, Rehoboth Beach, De. 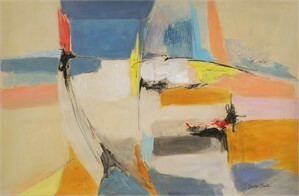 , and the William Ris II Gallery in Jamesport, Long Island, N.Y. Her Publications include the Cape Gazette in De. 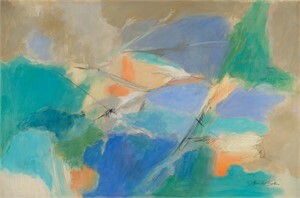 and a review in the Washington Gazette for her latest show at Marin Price Galleries. 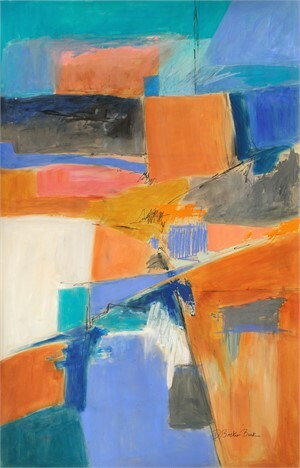 Her Zenith Gallery exhibit garnered a large photo of her artwork and review in The Washington Post by Critic, Mark Jenkins. Past exhibits have resulted in “top pick,” and other positive critiques from The Washington Post. Brisker-Burk’s work has been featured in the City Paper, Md. Gazette, Potomac Almanac, as well as in reviews by William Dunlop, WETA art critic, and JoAnne Lewis, art critic from the Post. Curators from Corcoran, National Museum for Women in the Arts and the Hirshhorn have juried her work in numerous exhibits. Ms. Burk has served as a local juror, and in pursuit of fresh artistic ideas, she has traveled extensively in the U.S., Canada, Israel, Caribbean, Europe, Australia, and Russia. 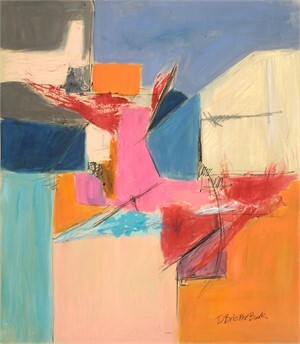 A Washington D.C native, Deborah Brisker Burk is an award-winning artist who has been creating art since childhood. 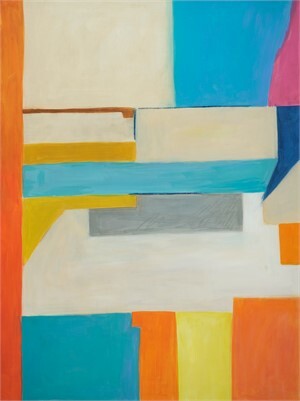 Burk earned her undergraduate and graduate degrees in art from George Washington University. 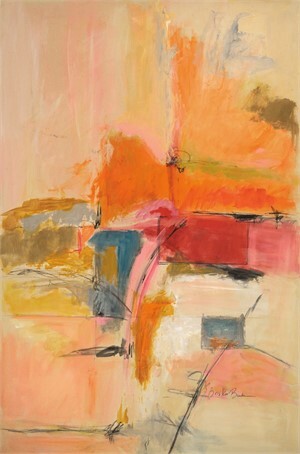 She studied at L’academie de Port Royale in Paris, with Alex Powers and Skip Lawrence in the US. 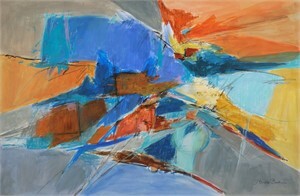 She has worked in a range of media including sculpture, printmaking, painting, and drawing. 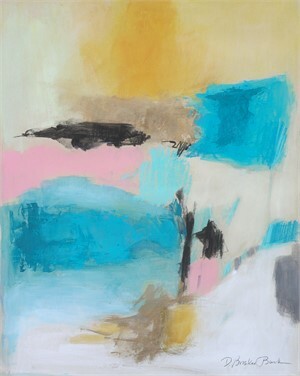 Her current paintings are mixed media on canvas and paper. “I feel energized from creating art, the process gets my blood flowing, my heart pumped and my mind engaged. 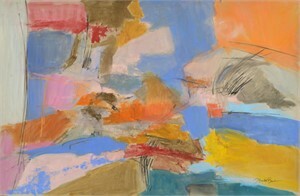 Jumping in the river of life, in the now, is how I experience the act of painting, collaging and drawing. Paradoxically, although my art is personal, my own natural vision, simultaneously, I become connected to all creators, past and present when my hand, mind, and vision are working in unison. 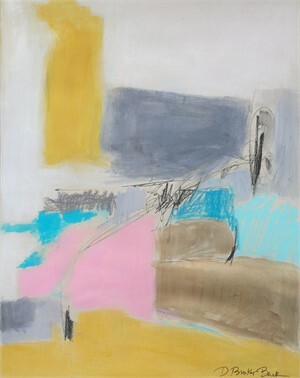 My process begins with an idea or reaction to a feeling, culled from experiences, or a response to a visual in my mind. Throughout the process, I check to see if the work is reflecting my selected intention. Often, I work on several bodies of work concurrently. Various bodies of work influence and inform each other; often they cross-pollinate. My series on paper is mixed media work which captures the human figure and its movement, focusing on the importance of color, and line. My “Stream of Consciousness” series on canvas catalogs the figure on the edge of abstraction, emerging from my thoughts, dreams and the images distilled from my work on paper. The work is made up of mixed media paint, Caran d’Ache, oil pastel, charcoal, pure pigment and sometimes includes collage. 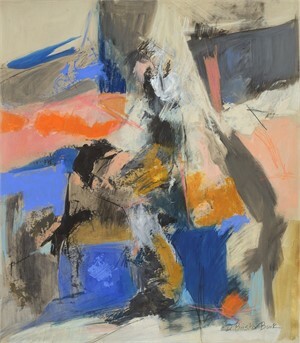 Another series, “Exploration of Possibilities” is pure abstraction on canvas portrayed in heightened texture, line, and color. 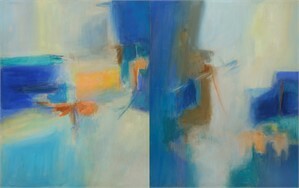 In this series, I search for the ‘right’ marks and spaces, and line to express my feeling about an envisioned place or set of feelings which exist in my mind.I use different platforms, whether figurative or pure abstract, as a tool for expressing my lifetime love affair with color, both bright and muted, attentive mark making and texture. 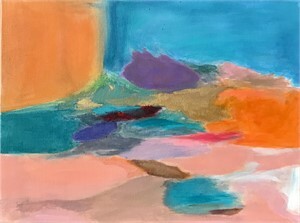 Being in the moment extending the time of that moment and developing my explorations through sustained study keeps my work alive and fresh for me.” – Deborah Brisker Burk Ms. Burk’s work has been featured in numerous galleries, collections, and exhibitions in the U.S., Israel, Canada, Russia, Egypt, and India. 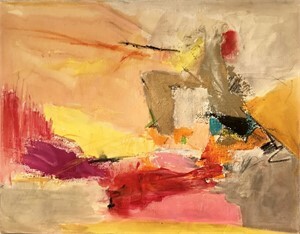 Exhibits include solo shows at The Marin Price Galleries, Parish Gallery, The Charles Sumner Museum, Philip Morton Gallery, Har Shalom Gallery and The Framer’s Choice. Currently, Ms. Burk work may be seen at Philip Morton Gallery, Rehoboth, Delaware and Blank Slate Gallery in Sarasota, Fl., Gallery 50, Rehoboth Beach, De. 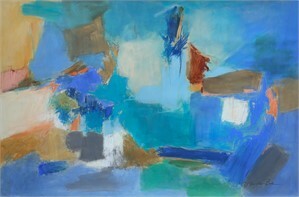 , and the William Ris II Gallery in Jamesport, Long Island, N.Y. Her Publications include the Cape Gazette in De. 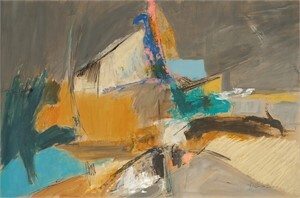 and a review in the Washington Gazette for her latest show at Marin Price Galleries. 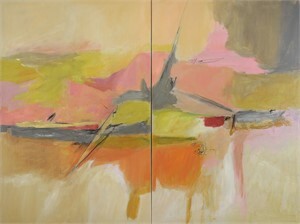 Her Zenith Gallery exhibit garnered a large photo of her artwork and review in The Washington Post by Critic, Mark Jenkins. Past exhibits have resulted in “top pick,” and other positive critiques from The Washington Post. Brisker-Burk’s work has been featured in the City Paper, Md. Gazette, Potomac Almanac, as well as in reviews by William Dunlop, WETA art critic, and JoAnne Lewis, art critic from the Post. Curators from Corcoran, National Museum for Women in the Arts and the Hirshhorn have juried her work in numerous exhibits. Ms. Burk has served as a local juror, and in pursuit of fresh artistic ideas, she has traveled extensively in the U.S., Canada, Israel, Caribbean, Europe, Australia, and Russia.